The fourth album from Oakland’s SWMRS, Berkeley’s on Fire, has a clear intent to avoid categorization. Compared to previous albums like 2016’s Drive North—an album characterized by sugary pop-punk vocals and formulaic lyrical narratives—Berkeley’s on Fire is a welcomed departure. 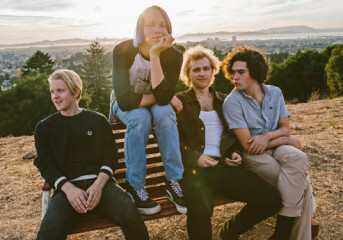 While Drive North strove to synthesize the band’s sound with a teen angst image, Berkeley’s on Fire disturbs the artistic compromise that stunted SWMRS’ original appeal. Berkeley’s on Fire is a definite indicator of the band’s sonic development since 2014. The title track taps into the clang of heavy guitar riffs to craft a raucous sound to match vocalist Cole Becker’s exhilarating lyricism and singing. 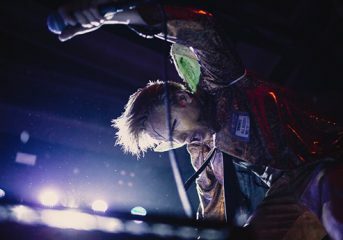 “Lose Lose Lose” and “Hellboy” yield similar fast-paced guitar and drums, with lyrics expressing distinct awareness of both “the self” and its relation to the world. These tracks pleasantly surprise—but that doesn’t mean the band has fully left its old sound behind. The project interlaces SWMRS’ more innocent vocal timbre on their more introspective tracks, most notably on “Trashbag Baby,” “Too Much Coffee” and “IKEA Date.” These songs tone down the disruptive nature of the other cuts. 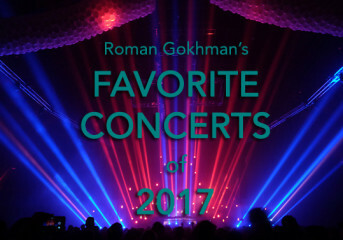 They emphasize how the band deliberately moved to arrange its songs to simultaneously disrupt and complement one another. This breaks from the band’s typical succession of tone and energy. “April In Houston” drives this point home with its almost hip-hop drumbeat and ’90s alt-rock guitar flavor. The album’s hot and fast beginning soothes on “Too Much Coffee,” only to be ratcheted up again on “Trashbag Baby” and “Lose Lose Lose.” The disturbance in the band’s usual synchronicity is welcomed with open arms. It’s an admirable goal SWMRS reach successfully. Berkeley’s on Fire has more emphasis on the controlled variance in composition than, to paraphrase the Dungeons & Dragons alignment spectrum, the visible chaotic good it appears to be on first listen. Berkley’s on Fire does have a few distractions. While “Too Much Coffee” contributes to the album’s unique flow, it becomes a bit of an obstruction when taken by itself. Where most tracks seek to innovate, this cut is too soft for the hard-hitting approach of the album as whole. “IKEA DATE” suffers for similar reasons. Although it has unusual and unique vocal distortion in the early stages, it relies too heavily on generic lyricism to carry the arrangement. Luckily, these minor hiccups end up melding more naturally into the album’s progression. Neither song might contribute very much to the overall variance, but both stand in as regulatory markers for the generally higher energy of the majority of the album. They function as a balance bar for the album’s tightrope walk through stylistic change. 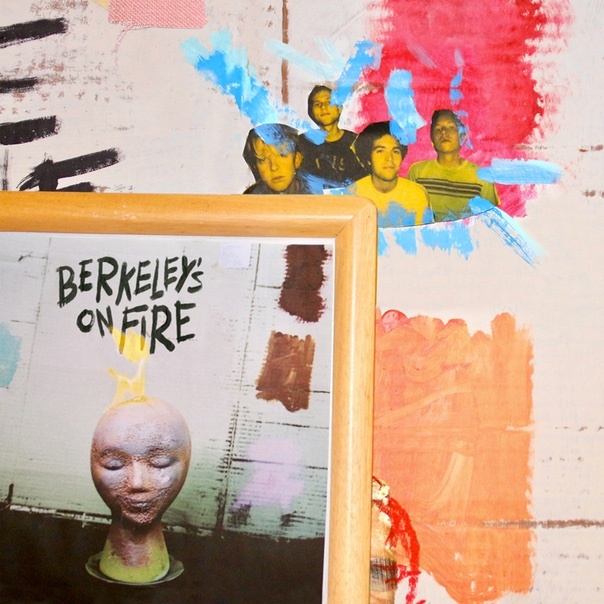 Berkeley’s on Fire represents remarkable growth for SWMRS, with a more fine-tuned production to back up their stylistic ventures. This album doesn’t care to pair with the band’s past works. It still leans on old flairs that are more heavily used before, but those qualities pale in comparison to the band’s bold attempt—and success—to innovate on the staples of its sound.